Judith and her father don't have much - their house is full of dusty relics, reminders of the mother she's never known. But Judith sees the world with the clear Eyes of Faith, and where others might see rubbish, Judith sees possibility. Bullied at school, she finds solace in making a model of the Promised Land - little people made from pipe cleaners, a sliver of moon, luminous stars and a mirror sea - a world of wonder that Judith calls The Land of Decoration. Perhaps, she thinks, if she makes it snow indoors (using shaving foam and cotton wool and cellophane) there will be no school on Monday...Sure enough, when Judith opens her curtains the next day, the world beyond her window has turned white. She has performed her first miracle. And that's when her troubles begin. 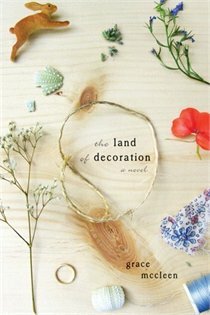 With its intensely taut storytelling and gorgeous prose, "The Land of Decoration" is a heartbreaking story of good and evil, belief and doubt. Its author, Grace McCleen, is a blazing new talent in contemporary literature. If I had to describe this book in one word, I would use: Weird. This book was so weird, guys. I didn’t love it, but I didn’t absolutely hate it either. I just didn’t get it. Ten-year old Judith lives with only her father, as her mother passed away shortly after giving birth to Judith. It’s clear from the beginning that Judith and her father are very religious, and although the author never tells you which religion exactly, my detective skills tell me they were Jehovah’s Witness. Judith spends her days at school where she is horribly bullied by this awful, awful boy named Neil Lewis (gawd I hated him! ), and she spends her evenings at home with her father, reading from the bible. When they aren’t eating dinner or praying or reading, Judith spends her time in her bedroom, where she has created a large diorama, “the land of decoration”, named after the Promised Land in the Bible. She adds to The Land of Decoration with whatever she can get her little hands on – scraps of material, lollipop wrappers, cotton balls, yarn, pipe cleaners, garbage on the sidewalk, literally anything that Judith stumbles upon. At first I was like, “this is amazing – I LOVE dioramas!” Then things just started to get weird. One day, Judith makes something happen in The Land of Decoration that is then replicated in the real world. She’s convinced it is not a coincidence, and around this same time she starts having actual conversations with God. This is where I got confused. I wasn’t sure if Judith could actually talk to God, or if she just thought she could talk to God, or if she had the beginnings of a mental illness. I tried not to over think it and just go with it. At first, things start to look up for poor Judith and then I thought “ok, it doesn’t really matter if she can talk to God or not – if she believes and it helps her confront the school bullies and be a stronger Judith, then that’s the whole point”. But then, this God guy starts to get kind of mean and bully-ish himself. I mean, I’ve never talked to God, but I imagine if I could/did, he’d be a lot more supportive than Judith’s God. Judith’s God reminded more of what the devil would sound like. Judith’s God would present Judith with two choices and obviously, depending on which she chose, there would be consequences to follow. Judith would seek out God for advice/guidance and God would be all like “An eye for an eye” or, “I told you so”. Not cool God, not cool. I really liked Judith though. She was so innocent and naive that you couldn’t help but feel for her. The pain she felt from the constant teasing and bullying she endured every day at school was palpable. I wanted to reach through the pages and pound Neil Lewis in the face. I don’t think I’ve ever despised a young boy as much as I did Neil. The bullying that went on in this book, both to Judith and even towards her father, made my blood boil and even brought me close to tears at times. Then there’s the ending. Judith believes more than ever that she can perform miracles and that the world is coming to an end. Her father starts to lose his own faith and starts to emotionally crumble under the constant bullying and vandalism from Neil Lewis and his friends. I think if the ending had been stronger, my overall feelings of this book would have been different. I was hoping the ending would wrap things up in a way that would make everything that had happened make sense. I felt like there was this big build up leading to the end - all this pressure building up, just waiting to explode (or I guess, the world to blow up). And without giving too much away, the world doesn’t blow up, and it felt like things were too easily wrapped up. And THEN guys, the final chapter is on how to build your own parachute! I understand that Judith's mother left behind a paper parachute for Judith which hangs in her room, but I fail to see the significance. I’ve never claimed to be some literary genius, but I just didn’t get it. If you’ve read this book, please, please share your thoughts with me. What did I miss when reading this book? And how can people be comparing it to Room? I do not see the resemblance at all. Hmm. Well, I'm glad I didn't buy this one -- it sounds ... different. A little too different. And really doesn't quite resemble Room at all! I think this is the type of book that I would have to be in a certain frame of mind to read. The cover sure is pretty, though! Isn't the cover gorgeous? 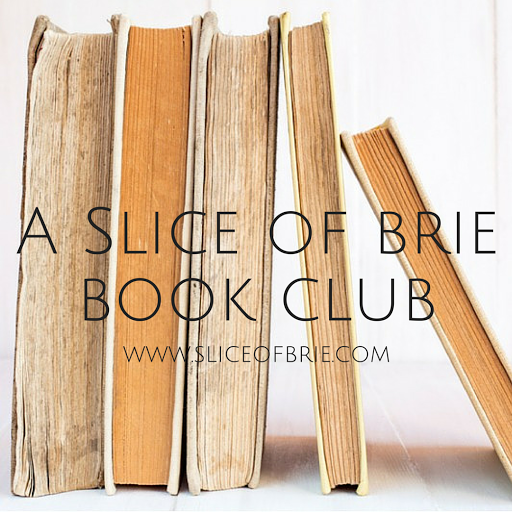 I loved it right away and I wanted to love this book, but it just wasn't for me. You're welcome to borrow my copy, if you'd like...? :) I actually made my mom buy this book a few months ago so that I could then read it. She passed it on to me to see if I could fair better as she couldn't get through it.